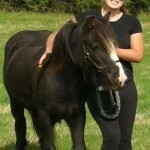 Tess in Cornwall who is using the course both to gain equine career knowledge and as a home education study programme. Jodie from Dundee, Scotland. Kerrie Tokens from Huntingdon. Charlotte Partington in Altrincham and Penny Hathaway from Hornchurch. Brodie in Dundee. Louise Jeffers in Barnsley. Amie McCarthy in Bristol. Amie Smith from South Ockenden Essex. (Course Codes ID through to ID8): Jayne Neaves in Aberedeenshire. Jen Jackson from Leatherhead, Surrey. Tess Cope from Cambridgeshire. Sharon Johnson in Argyle. Melissa Page in Salisbury. Louise Pritchard from Dalkeith. Natalie Land from Fairburn. Sally White in Malmsbury. Sharna from Chesterfield, Derbyshire. Tracy Dean in Stamford, Laura Pickering in Alford Lincs. Marissa Jackson in Alfreton. Sarah Bramwell in Northumberland, Suzanne Compton from Sandy in Beds, Maureen O’Shea on the Equine Psychology Course. Beth Mitchison on the BHS Stage 1 course. Reem Al Musallam from Kuwait. Plus many many more new students who are all now working on their courses in their own time and at their own speed..
On Level 1 equine management course: Leanne and Leonie Redhill/Sutton areas and Val Ross. 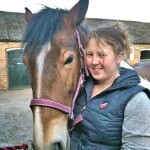 On the Equine Psychology & Behaviour course Dee Fifield, Gloucester. 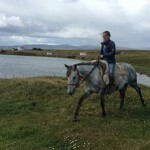 More and more enrolments continued to come in during January, Feb and March and on into May, June and July 2016 proving that equestrians are thirsty for knowledge. In April & early May 2016 we had an unexpected flurry of new students. 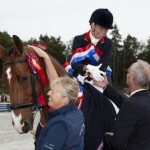 Emma Sheardown (paralympic listed equestrian) and Kimberly Gilchrist were amongst those involved in RDA or training for top Paralympic ratings. 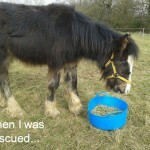 Later we had Kate Deacon who is working for a brilliant Rescue place called The Horse’s Voice in Husbands Bosworth, Leics., Jenny Powell joined us in Germany, Tina Hill and Marilyn Featherstone from Wales and many more.